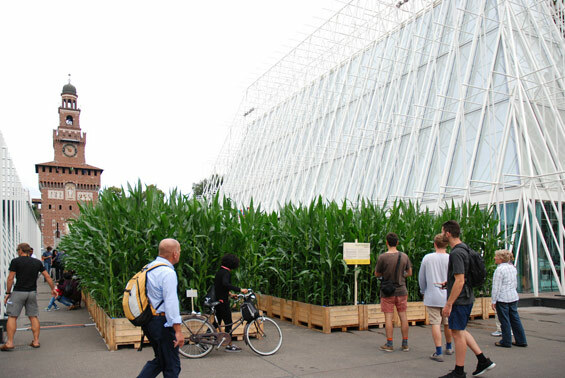 Over 1,500 man-sized sheaves of corn for the field that shot up overnight at the end of July, in the heart of Milan, opposite the Sforza Castle, between the two Expo Gate pavilions. 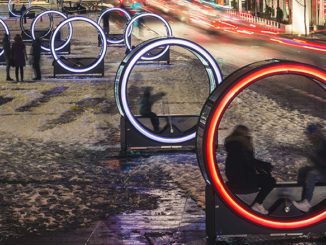 “quantomais”, the project devised and produced by A4A Rivolta Savioni Architetti, on an invitation from Expo Gate’s artistic curator Caroline Corbetta, will be part of the city for the entire month of August. 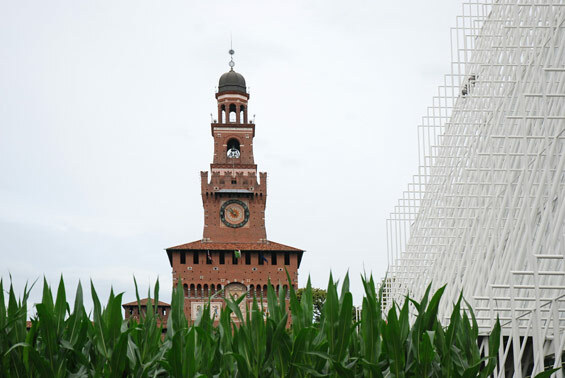 quantomais is an unusual pop-up conception, an innovative example of urban geometry next to one of the city’s landmarks, the Sforza Castle, at the entrance to the Expo 2015. Inspired by the theme of the event – Feeding the Planet, Energy for Life – the field catches the eye of locals and visitors for its significance and spectacular nature. Conspicuously alienating, it undermines perspectives, presenting a different perception of the urban spaces in which people live and meet. This agricultural passage transforms places and habits into a new experience to be shared: a living space in which meetings, artistic interludes, appointments and minor rituals unobtrusively accompany residents and passers-by. For the entire month of August. Conceived as an urban installation, quantomais progresses into a collective multi-disciplinary work bringing together institutions, architects, farmers, companies, technicians, artists, poets and educators with a common goal: to create a green and hospitable area in the city, a place waiting to be cultivated, in more than one sense of the word, a stage for social relations and culture. And not just a question of agriculture. 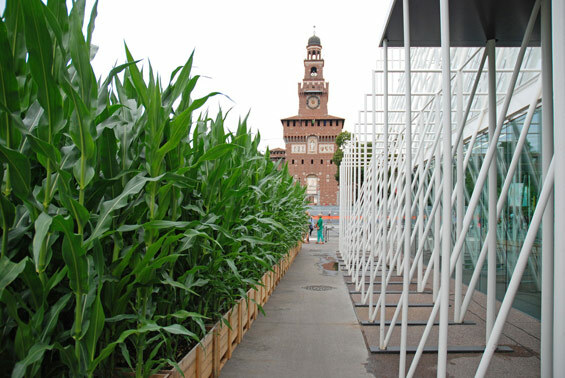 quantomais in Expo Gate is a sneak preview of a work which the A4A Rivolta Savioni Architetti studio will create on a larger urban scale for the duration of Expo 2015. 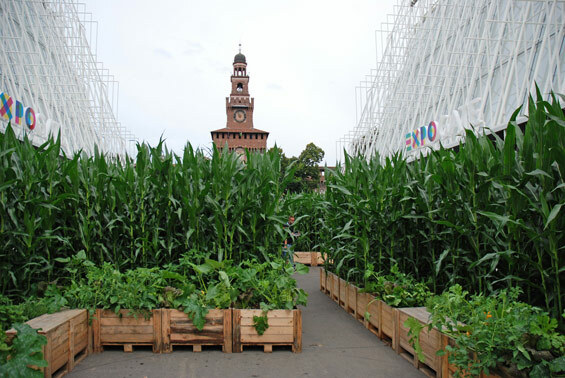 Planted in June and cultivated on a farmstead close to Milan, the corn will be moved into the centre of the city overnight at the end of July. 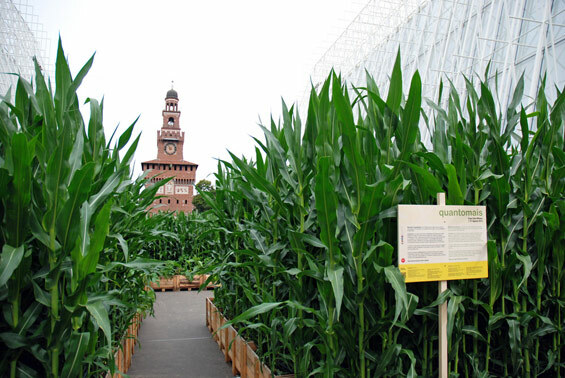 The next day it will be a field of mature corn: 360 square metres on the Expo Gate square right opposite the Sforza Castle, where it will continue to grow for the entire month of August. Inside the plantation there are areas which will be used for performances, readings and improvisations as well as for cultivating vegetables and seasonal plants. At the end of August the field will be dismantled into the original 231 sections (beds measuring 80 x 120 x h50 cm) which will be redistributed into small city plots for local green areas, schools, universities and public areas (see the adoption tender at www.quantomais.org). 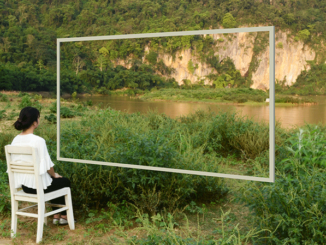 The installation will happen just as Milan is getting ready for the big Expo 2015 event which, from 1st May to 31st October next year, will highlight a theme of universal interest: nourishing Man and the Planet. 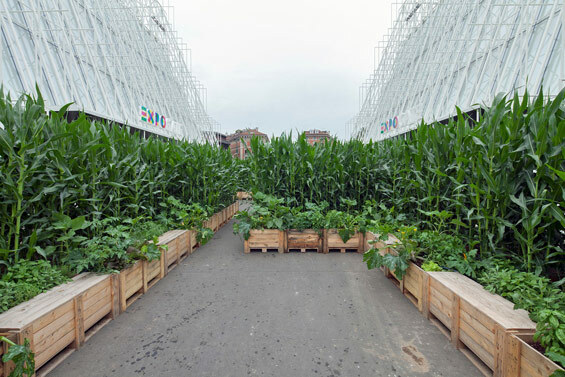 The choice of corn sparks reflection on one of the Expo 2015’s Clusters “Cereals and Tubers: Old and New Crops”, basic foodstuffs for a large part of the world’s population. But above and beyond the inspiring principle, and the evocative suggestion of a field of corn, A4A’s choice is functional to the installation for its aesthetic, visual and spatial impact. Weight of each module with earth: 300 kg approx.